Provides a response in sixty seconds. This water-resistant thermometer beeps when the measurement is complete and features a large LCD display and a last reading memory. 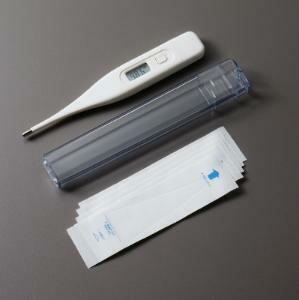 Measuring in 0.2°F increments from 89.6 to 111.2°F with an audible alarm for temperatures above 99.5.The thermometer comes in a case with five probe covers and a battery.